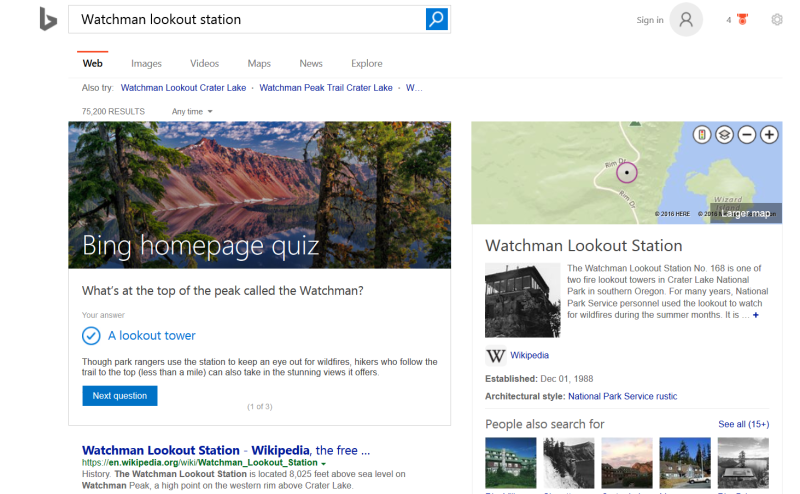 Bing wants to pull more users via its homepage, and is using trivia to do it. Last month, the site began posting trivia questions in place of “hotspots” on Bing.com. The trivia questions relate to Bing’s image of the day and display when you hover over the graduation cap icon now showing on the homepage. Answering the trivia question will launch a three-question quiz at the top of a search results page for whatever the correct answer is. The quiz interface lists the correct answer, further info on the topic and the option to answer the next question. In addition to the daily quizzes, Bing also has a weekly news and trends quiz that it posts on Fridays which can be found in the “Popular Now” carousel that runs across the bottom of its homepage. Bing Rewards members can earn credit by taking the quizzes, and quiz scores can be shared on social sites. 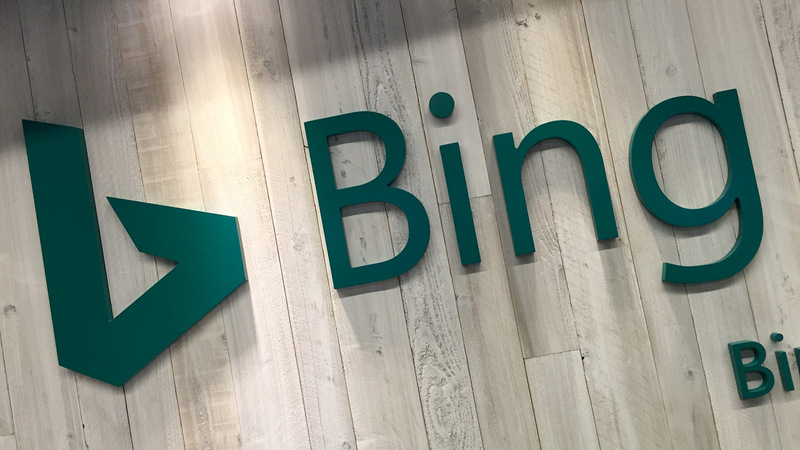 Senior managing editor Kristen Kennedy and senior program manager Vinay Krishna said they want Bing’s homepage to be a source of inspiration for millions and an entry point to learn more about the world. “We’re betting on the quiz format as the means of driving deeper exploration and serendipitous discovery,” writes Kennedy and Krishna on the Bing Search Blog. In addition to the its recently launched quizzes, Bing says it is also using user polls to gauge people’s thoughts and opinions around current events and trending topics. Surveys have included everything from the Cincinnati Zoo’s Harambe gorilla being shot after a child fell into the gorilla enclosure to Mother’s Day gift choices.